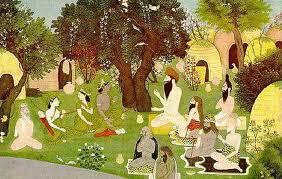 Abstract: Law as rules of living was central to religion in India, whether it was Buddhism or Hinduism. A central term used to identify law was dharma, and it was a contested term. How do we come to know dharma; what is its epistemology? This paper addresses the development of a Brahmanical jurisprudence of dharma centered on the theory that dharma is found in and founded on the Veda. Between 500 and 1000 CE, we see scholars discussing the serious problems that flow from this basic principle. Given that most of what passes for dharma within Brahmanism is not found in the extant Vedic texts but in later texts known as smṛti, how can this principle be sustained. The most realistic answers to these problems come from scholars within the Indian legal tradition called Dharmaśāstra. Medhātithi, perhaps the greatest Indian jurist, frankly acknowledges that not all dharma is based on the Veda. The multiplicity of dharma, divided according the time, place, and community, is central to the Brahmanical understanding of dharma, in spite of the theological veneer of its Vedic basis. Patrick Olivelle was the Chair of the Department of Asian Studies from 1994-2007 and is currently the Mossiker Chair Emeritus in the Humanities at the University of Texas at Austin. He was the recipient of the Guggenheim Fellowship and was elected President of the American Oriental Society in 2005. His books have won awards from the American Academy of Religion and the Association of Asian Studies. In 2011, he was awarded the Career Research Excellence Award from the University of Texas at Austin. He has published over 25 books and over 50 scholarly articles. His recent books include: King, Governance and Law in Ancient India (Oxford, 2013), Reimagining Aśoka (Oxford, 2012), Viṣṇu's Code of Law (Harvard, 2009), and Manu's Code of Law (Oxford, 2005).